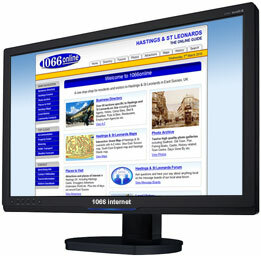 1066 Internet » Hastings websites by Hastings people. Will Facebook work for my business? 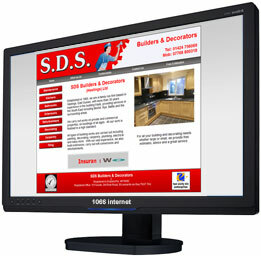 Businesses in the Hastings area can benefit from our value for money websites. See your business gain a professional online presence, both quickly and with the minimum of fuss. Take a look at our portfolio and testimonials pages to get a feel of how we operate, or contact us for an informal chat about taking your online marketing to the next level. 1066 Internet is a creative Web Design company that can deliver all the ingredients and advice for a strong web presence. As well as bespoke website design, we offer managed web hosting and search engine optimisation - eveything you need to make your web site a success. Design Skills - We have been building websites since 1999 with a long history in the graphic design field previous to that. Coding Skills - With hundreds of websites under our belt we are proficient in modern coding standards and feel comfortable we can produce exactly what you are looking for. Charges - Our prices are kept to a minimum so that any size of business can afford a professional online presence. We will give you a price and stick to it. Customer Service - We are a friendly team who aim to please. Happy to explain things on your level, keeping conversation as jargon-free as you feel cumfortable with. Want to find out more? Contact Us with some details of your requirements. We are happy to give free advice or a no obligation quote to suit your needs.